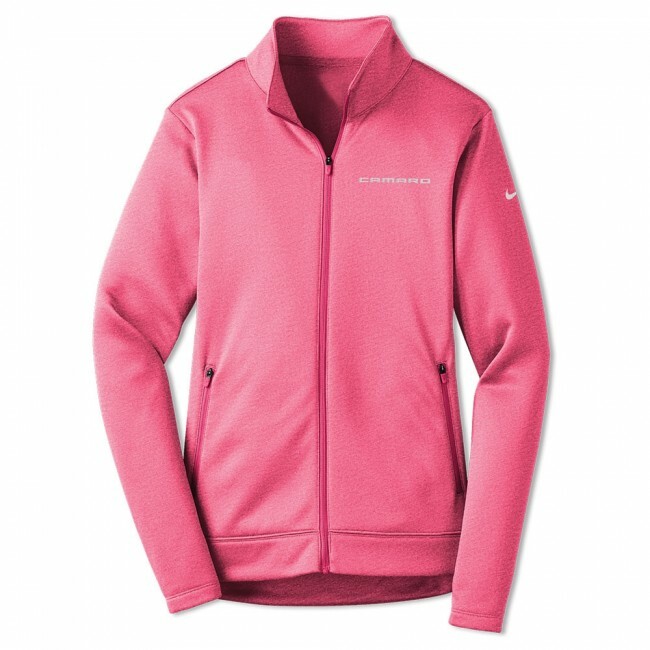 Great for cold-weather workouts, and styled to go anywhere, this breathable Nike full-zip fleece manages moisture to perform. It’s designed with a zip-through collar, reverse coil zippers, front zippered pockets and open cuffs. Tailored for a feminine fit. Embroidered with the Camaro signature on the left chest and contrast heat transfer Nike Swoosh on the left sleeve. 100% polyester Therma-FIT fabric. Imported.